Morecambe win 4-2 on penalties. Northampton Town win 4-2 on penalties. Rochdale win 5-3 on penalties. Match ends, Gillingham 7, Reading U21 5. Second Half ends, Gillingham 7, Reading U21 5. Attempt saved. Josh Barrett (Reading U21) right footed shot from more than 35 yards is saved in the centre of the goal. Corner, Reading U21. Conceded by Aaron Simpson. Attempt missed. Scott Wagstaff (Gillingham) right footed shot from the left side of the box is close, but misses to the left. Attempt missed. Josh Barrett (Reading U21) right footed shot from the centre of the box is close, but misses to the right. Goal! Gillingham 7, Reading U21 5. Darren Oldaker (Gillingham) from a free kick with a right footed shot to the bottom left corner. Noel Mbo (Gillingham) wins a free kick in the attacking half. Foul by Gabriel Osho (Reading U21). Darren Oldaker (Gillingham) wins a free kick in the attacking half. Foul by Ramarni Medford-Smith (Reading U21). Goal! Gillingham 6, Reading U21 5. Adrian Popa (Reading U21) left footed shot from the centre of the box to the bottom left corner. Assisted by Joel Rollinson. Goal! Gillingham 6, Reading U21 4. Darren Oldaker (Gillingham) right footed shot from outside the box to the high centre of the goal. Goal! Gillingham 5, Reading U21 4. Noel Mbo (Gillingham) right footed shot from very close range to the bottom right corner following a corner. Corner, Gillingham. Conceded by Gabriel Osho. Attempt blocked. Gabriel Osho (Reading U21) right footed shot from the centre of the box is blocked. Foul by Luke O'Neill (Gillingham). Ryan East (Reading U21) wins a free kick in the attacking half. Penalty missed! Bad penalty by Darren Oldaker (Gillingham) right footed shot is high and wide to the left. Darren Oldaker should be disappointed. Penalty Gillingham. Scott Wagstaff draws a foul in the penalty area. Penalty conceded by Gabriel Osho (Reading U21) after a foul in the penalty area. Attempt missed. Josh Barrett (Reading U21) right footed shot from the left side of the box is close, but misses to the left. Foul by Noel Mbo (Gillingham). Jake Sheppard (Reading U21) wins a free kick on the right wing. Darren Oldaker (Gillingham) wins a free kick in the defensive half. Foul by Ryan East (Reading U21). Attempt missed. Josh Barrett (Reading U21) right footed shot from the left side of the box is close, but misses the top right corner. Goal! Gillingham 4, Reading U21 4. Jake Sheppard (Reading U21) header from the centre of the box to the bottom right corner. Assisted by Ramarni Medford-Smith. Attempt saved. Josh Barrett (Reading U21) right footed shot from more than 35 yards is saved in the bottom left corner. Noel Mbo (Gillingham) is shown the yellow card for a bad foul. Gabriel Osho (Reading U21) wins a free kick in the defensive half. Attempt saved. Joel Rollinson (Reading U21) left footed shot from the left side of the box is saved in the bottom right corner. Goal! Gillingham 4, Reading U21 3. Ramarni Medford-Smith (Reading U21) left footed shot from the left side of the box to the centre of the goal. Assisted by Josh Barrett. Ryan East (Reading U21) wins a free kick in the defensive half. Attempt missed. Bradley Stevenson (Gillingham) right footed shot from outside the box is close, but misses to the right. Substitution, Gillingham. Bradley Stevenson replaces Conor Wilkinson because of an injury. Scott Wagstaff (Gillingham) is shown the yellow card. Thomas Holmes (Reading U21) is shown the yellow card for a bad foul. Conor Wilkinson (Gillingham) wins a free kick on the left wing. Foul by Thomas Holmes (Reading U21). Luke O'Neill (Gillingham) wins a free kick on the left wing. Foul by Adrian Popa (Reading U21). Andre Burley (Reading U21) wins a free kick in the defensive half. Goal! Gillingham 4, Reading U21 2. Adrian Popa (Reading U21) right footed shot from the centre of the box to the bottom right corner. Assisted by Tyler Frost. Substitution, Gillingham. Noel Mbo replaces Elliott List. Substitution, Gillingham. Jack Tucker replaces Max Ehmer. Second Half begins Gillingham 4, Reading U21 1. First Half ends, Gillingham 4, Reading U21 1. Josh Barrett (Reading U21) wins a free kick on the left wing. Foul by Aaron Simpson (Gillingham). Joel Rollinson (Reading U21) wins a free kick on the right wing. Attempt blocked. Ben Chapman (Gillingham) right footed shot from outside the box is blocked. Goal! Gillingham 4, Reading U21 1. Luke O'Neill (Gillingham) left footed shot from outside the box to the bottom left corner. Assisted by Ben Chapman. Goal! Gillingham 3, Reading U21 1. Joel Rollinson (Reading U21) right footed shot from the centre of the box to the bottom left corner. Assisted by Adrian Popa. Attempt missed. Finn O'Mara (Gillingham) header from the right side of the six yard box is too high. Attempt missed. Elliott List (Gillingham) right footed shot from the centre of the box is close, but misses to the right. Attempt saved. Conor Wilkinson (Gillingham) right footed shot from the right side of the box is saved in the centre of the goal. 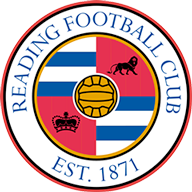 Ramarni Medford-Smith (Reading U21) wins a free kick on the right wing. Foul by Conor Wilkinson (Gillingham). Andre Burley (Reading U21) wins a free kick in the attacking half. Goal! Gillingham 3, Reading U21 0. Scott Wagstaff (Gillingham) header from the left side of the six yard box to the high centre of the goal. Assisted by Luke O'Neill. Corner, Reading U21. Conceded by Max Ehmer. Attempt missed. Thomas Holmes (Reading U21) header from the right side of the six yard box is close, but misses to the right. Attempt blocked. Josh Barrett (Reading U21) right footed shot from outside the box is blocked. Attempt missed. 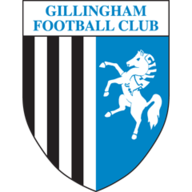 Elliott List (Gillingham) right footed shot from a difficult angle and long range on the right misses to the right. Goal! Gillingham 2, Reading U21 0. Conor Wilkinson (Gillingham) right footed shot from very close range to the centre of the goal. Gabriel Osho (Reading U21) wins a free kick on the left wing. Foul by Max Ehmer (Gillingham). Corner, Gillingham. Conceded by Tyler Frost. Attempt blocked. Gregory Cundle (Gillingham) right footed shot from the centre of the box is blocked. Luke O'Neill (Gillingham) wins a free kick in the defensive half. Foul by Jake Sheppard (Reading U21). Scott Wagstaff (Gillingham) wins a free kick in the defensive half. Goal! Gillingham 1, Reading U21 0. Gregory Cundle (Gillingham) right footed shot from the centre of the box to the bottom left corner. Assisted by Scott Wagstaff.